One of Delaware’s many nicknames is “The Small Wonder,” and for good reason—this state boasts some truly incredible natural scenery. 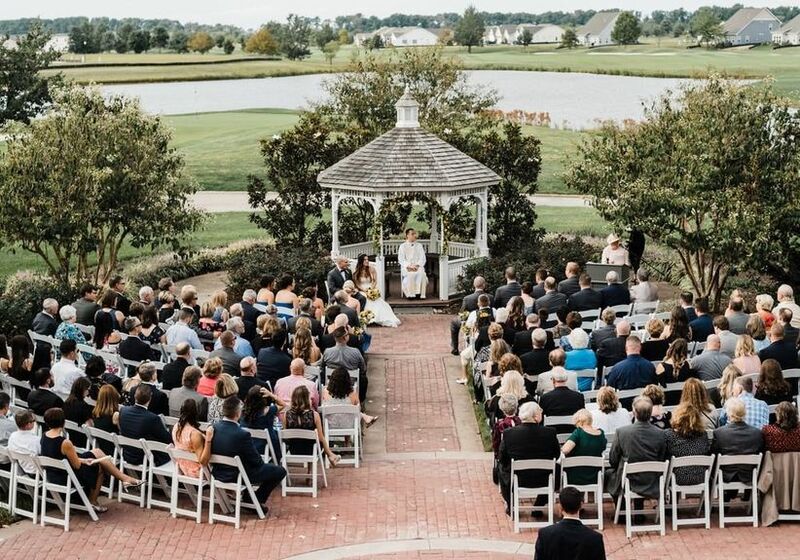 Couples will be delighted to find a wide selection of outdoor wedding venues in Delaware, from lush gardens to majestic country clubs, and more. 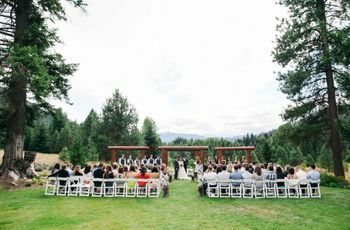 While hosting an entirely outdoor wedding in Delaware is a bit risky due to the unpredictable weather, these venues all offer outdoor ceremony settings as well as indoor or tented reception spaces. 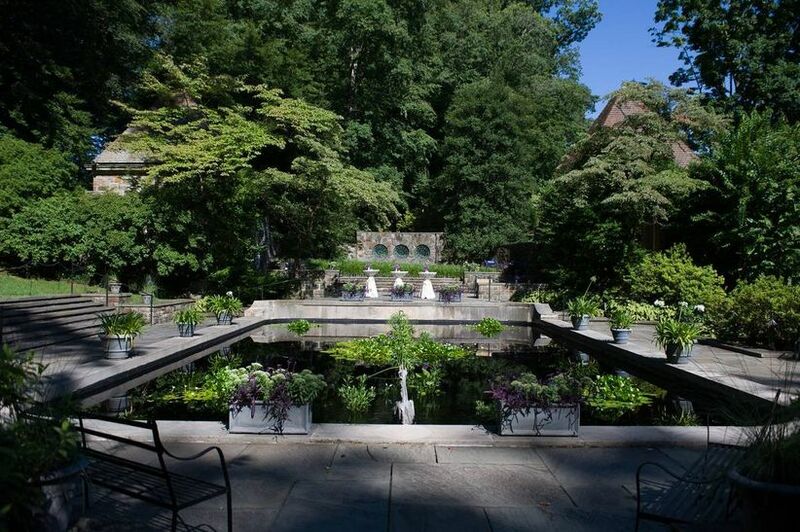 Prepare to be wowed by these beautiful outdoor wedding venues in Delaware. 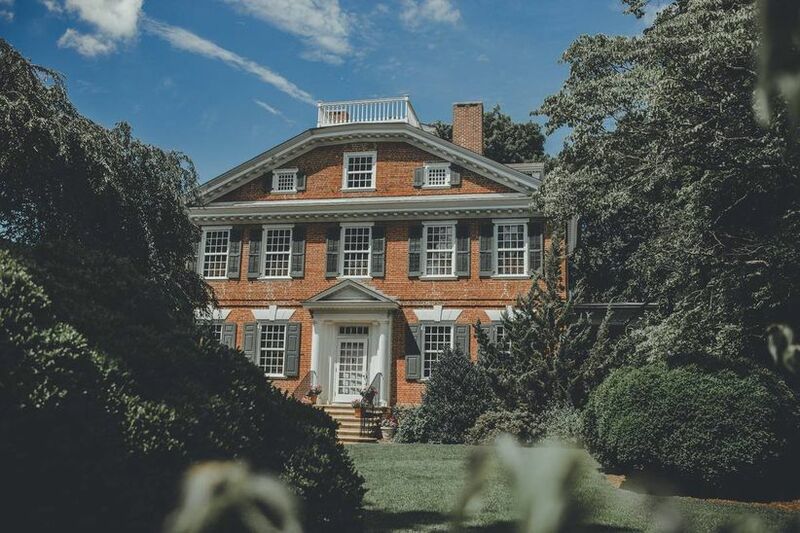 This three-story Georgian Revival-style mansion was first built in 1937, making it a historic and lovely outdoor wedding venue in Delaware (it’s located in Milford near Rehoboth Beach, to be exact). Set on 91 acres, this Delaware wedding venue can host outdoor ceremonies in a variety of locations around the property (including with the mansion itself as your backdrop). Wedding receptions may be held inside the historic home or in a tent. One of our favorite features of this venue is the long tree-lined driveway, which is sure to give your guests an incredible first impression. 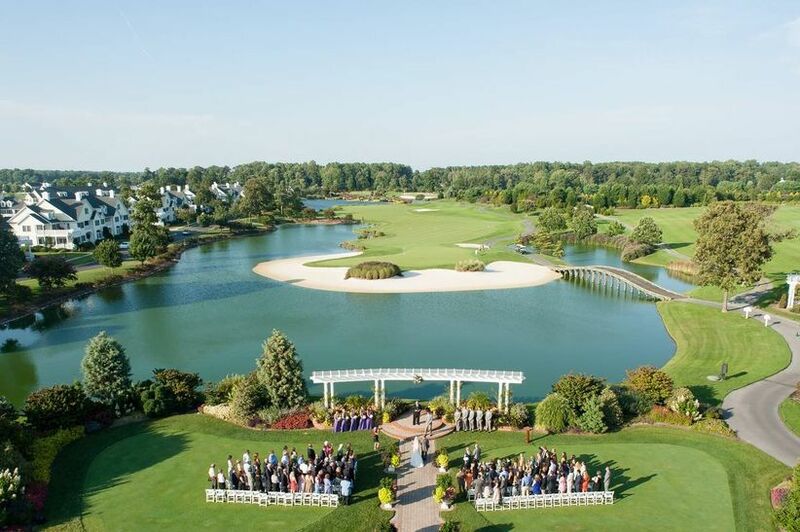 This is among the larger outdoor wedding venues in Delaware, with room for up to 500 guests. 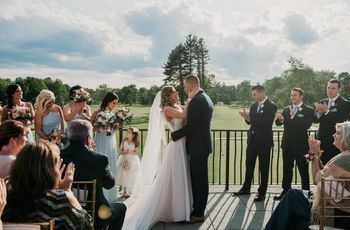 There’s so much to love about hosting a wedding at a country club, from the gorgeous scenery to the convenient in-house catering. 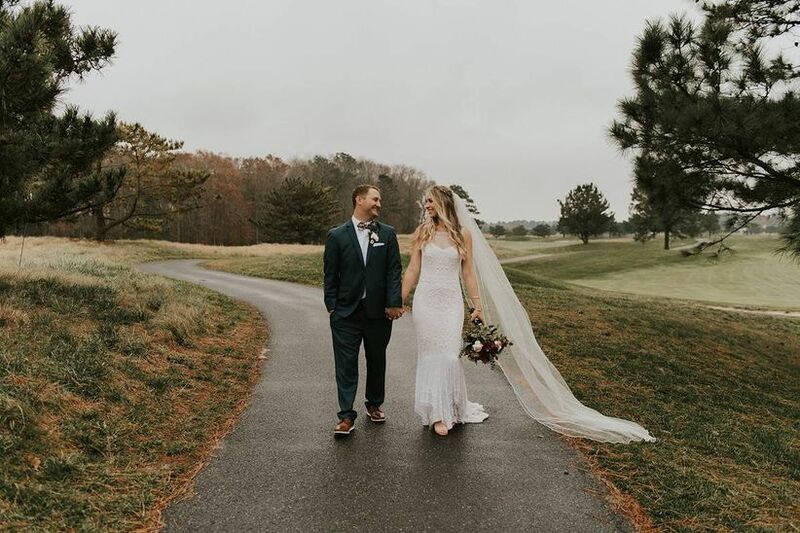 This Newark, Delaware wedding venue is one of our favorite country clubs in the state, with its lush property and setting right near White Clay Creek State Park. 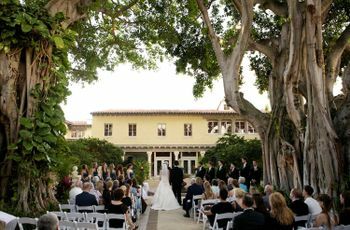 Couples can exchange their vows on the outdoor terrace, amid stately pine trees, or inside the romantic gazebo, followed by a reception inside one of Deerfield’s numerous indoor spaces. The Ballroom includes 10,000 square feet of space and features walls of glass letting in ample natural light. This Couples’ Choice Award-winning venue can accommodate up to 350 guests, and you’ll love the variety of packages to suit your style and budget. 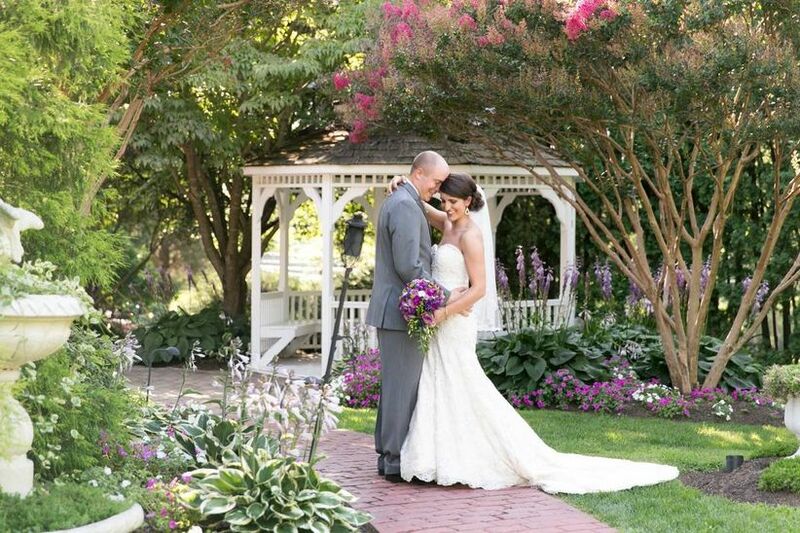 If you’re hoping to host an elegant and luxurious outdoor wedding, this Wilmington, DE private club is the ideal place. 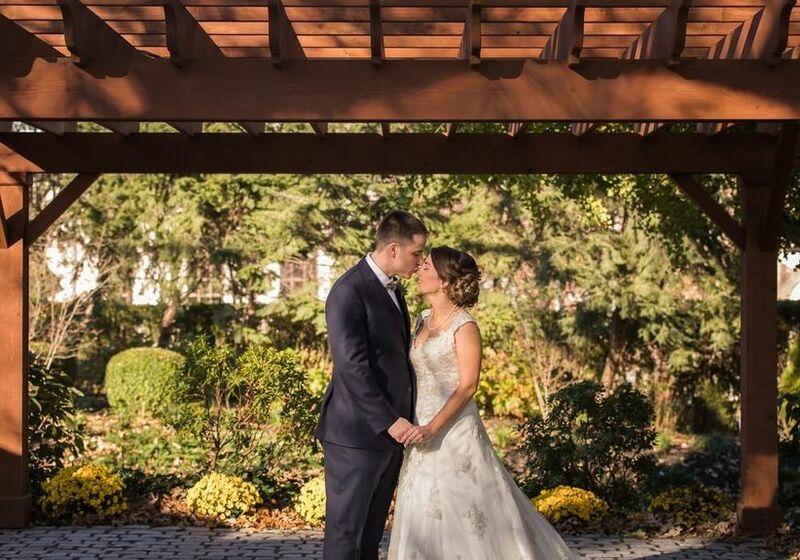 Tilton Mansion features a beautiful outdoor garden and pergola for wedding ceremonies, as well as indoor space, which can accommodate up to 150 guests for a seated reception. 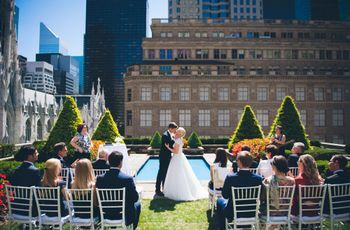 The castle-like mansion is an ideal backdrop for wedding photos, and the Whist Club is also an all-inclusive venue, providing catering, cake, flowers, and more to make your planning process an absolute breeze. This Couples’ Choice Award-winning historic venue is perfect for couples looking to combine a romantic outdoor wedding venue in Delaware with rustic style. A brand-new outdoor pergola is the perfect spot for an outdoor ceremony, and you’ll love the indoor reception space, featuring cathedral ceilings, skylights, hardwood floors, pewter chandeliers, and more. There’s also a wraparound deck so that you and your guests can easily enjoy the scenic property during your celebration. This is an all-inclusive venue, with packages that provide catering, cake, rentals, floral arrangements, and more. The Farmhouse can host weddings of up to 190 guests. We love how this venue combines the scenery and convenience of a country club wedding venue with the preppy-chic vibe of a seaside event space. Ceremonies are typically hosted in the outdoor gazebo, with a water backdrop. The Nantucket-style clubhouse features indoor reception space, decorated in a neutral color palette, that can accommodate up to 450 guests. This all-inclusive venue also specializes in pre-wedding events like rehearsal dinners, bridal showers, and more. Located just three miles from Rehoboth Beach, this outdoor wedding venue in Delaware is ideal for a nautical-chic event. Whether you’re looking for an indoor, outdoor, or tented ceremony and reception, this Couples’ Choice Award-winning space is truly spectacular. Say “I do” in the waterfront ceremony garden, complete with pristine white pergola. Receptions may be held in the grand ballroom, complete with views of the gardens and outdoor veranda, or in a tent on the sprawling property. There’s space for up to 260 guests here, as well as a variety of all-inclusive wedding packages. This historic mansion in Smyrna, first built in 1773, is a romantic choice for the intimate wedding of your dreams. 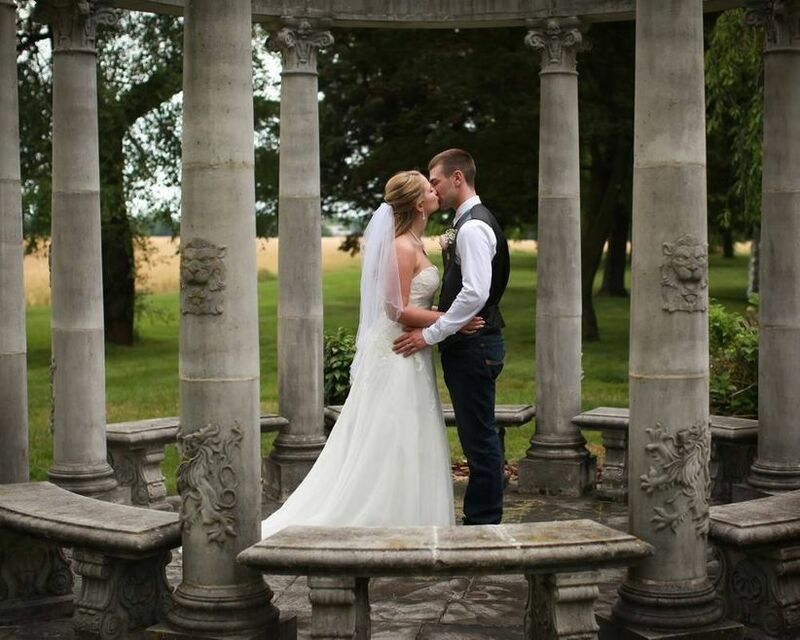 There are several indoor and outdoor spaces to choose from, including a beautifully-manicured garden for ceremonies, and enough property for a tented or outdoor reception, accommodating up to 150 guests. Smaller receptions of up to 50 guests may be held inside the mansion. This Couples’ Choice Award-winning venue garners raves for its “magical” setting and accommodating staff. Pre- and post-wedding events may also be held on the property. 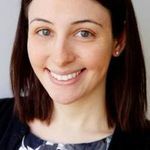 When it comes to finding an outdoor wedding venue in Delaware, you’re likely looking for a site that combines scenery with convenience. This Milford golf course is a fabulous setting for your big day, featuring indoor and outdoor settings to host events of up to 500 guests. 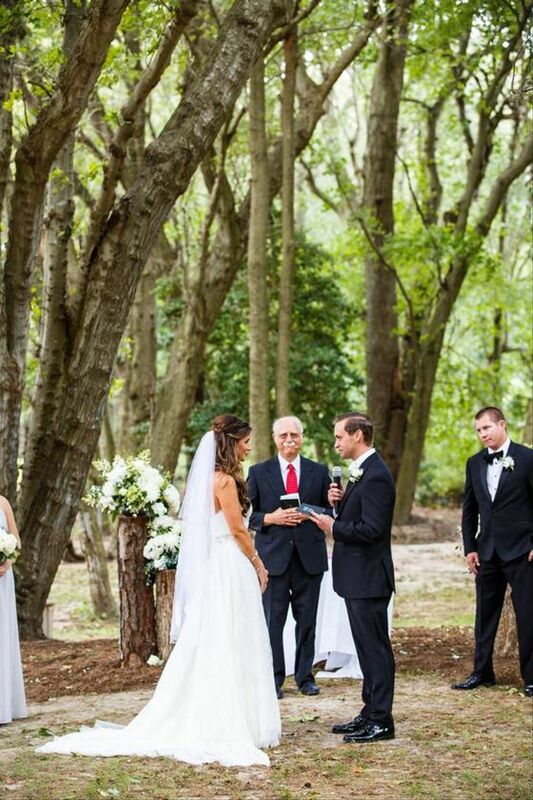 We adore the woodsy ceremony site, and receptions may be held in a tent on the property or inside one of the banquet rooms, featuring large windows and patios. You’ll also love the variety of wedding packages to suit your budget. There’s also a restaurant on premises that can host rehearsal dinners, engagement parties, and more. Located in the heart of the scenic Brandywine Valley, this serene historic museum and estate was once in the country home of the famed Du Pont family. 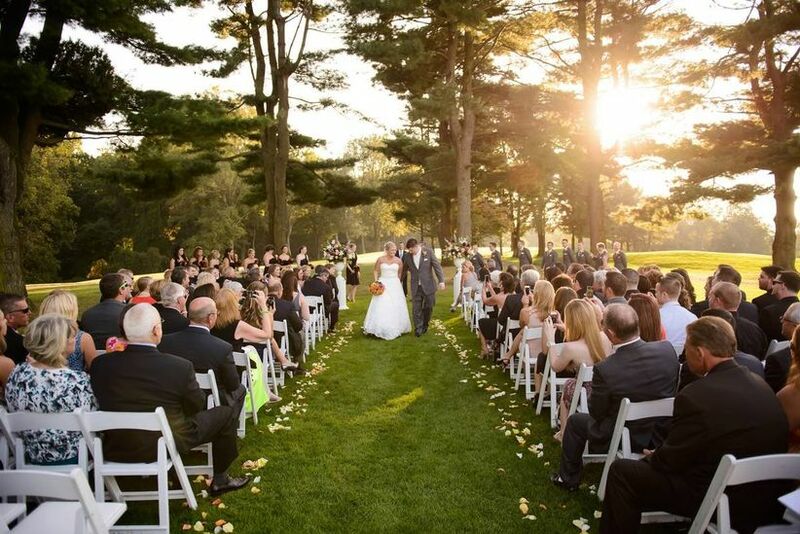 Set on 1,000 acres of rolling hills, this Couples’ Choice Award-winning garden venue features 10 indoor and outdoor spaces available for weddings, from the Reflecting Pool to the Visitor Center Patio, the Galleries Reception Atrium to the Clenny Run Lawn, where tented events may be held. Your guests will absolutely swoon over this stunning property. Catering is provided by the highly-regarded Restaurant Associates, and couples rave about the setting, staff, and the food. There’s something so special about hosting a wedding on the Eastern Shore—the ocean breeze, the scenery, the relaxed vibe…it’s oh-so dreamy. 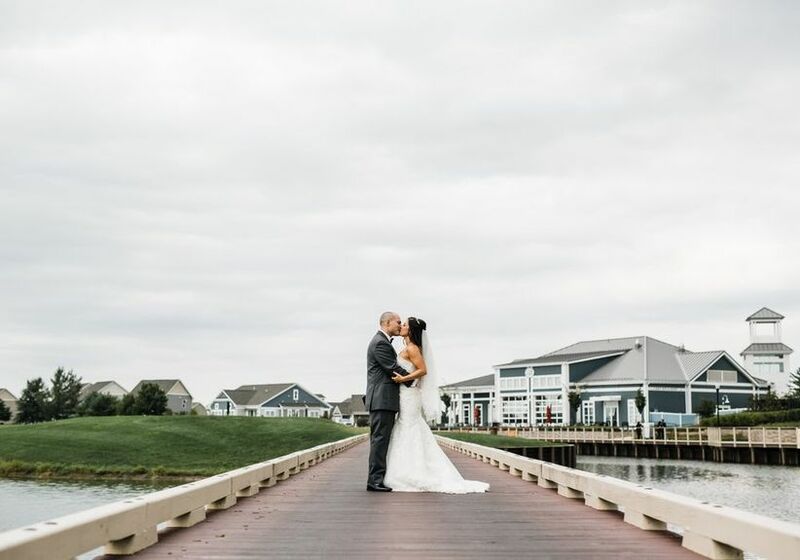 This recently-remodeled outdoor wedding venue on Delaware’s Eastern Shore features a variety of picturesque settings for your ceremony, as well as a gorgeous Clubhouse featuring floor-to-ceiling windows and panoramic views for receptions. You may also host your event in a tent on the property. This venue is ideal for more intimate events of up to 160 guests, and on-premises catering is available.